Here it is! 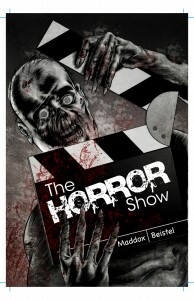 The actual cover for The Horror Show! Exclamation points!!!! More on this short tale will be showing up as the days go on, so stay current.